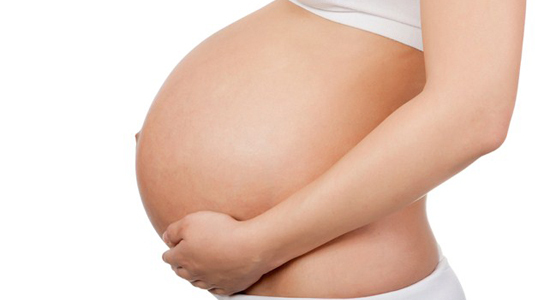 Did you know that as many as 80 percent of pregnant women experience pelvic pain? Many pregnant women complain about the pain which normally range from minor ache to a serious debilitating sensation around the back down to the belly. The searing pain is just hard to pinpoint that some health practitioners, unaware of the condition, don’t mind the reports and so most pregnant women are forced to endure the discomfort believing it will just go away after childbirth. This pregnancy related pain in the region of the symphysis pubis or pelvic joint is called Symphysis Pubis Dysfunction or SPD. The pelvis bone is a circular bone that leaves a small gap in between but is connected by fibrocartilaginous tissue reinforced by ligaments. This midline cartilaginous joint is called the Pubic symphysis hence the name of the condition. This area, along with the sacroiliac joint, is important during the pregnancy because it helps the pubic bone to move freely and expand allowing the baby to fit easily. Furthermore, pregnancy hormones called Relaxin are released by the body to loosen the ligaments and make it more flexible. However, excessive levels of Relaxin make the pubic symphysis too stretchy and relaxed which can cause pain and weird sensations on the pelvic area. Symptoms of SPD vary from person to person although pregnant women reported that the pain comes on as early as 12 weeks and lingers even after labor. The pain is often described as bizarre and excruciating, and makes simple movements like walking, getting out of bed, or lifting one’s leg difficult as one side of the pelvic joint shifts more than the other. The pain in the pubic area can be managed and eventually resolved as the body stops producing relaxin after the delivery. Unfortunately, the pain doesn’t subside for some women. The good news here is the fact that there are treatments available. Experienced practitioners may suggest chiropractic therapy, one of the most popular treatment options among SPD patients. A chiropractic therapy includes a combination of joint realignment or mobilisation and soft tissue or muscle treatment. This manual treatment done with bare hands realign the joints so as tightness can be released allowing the joint to move freely and thereby reducing or eliminating pain and discomfort. While not every type of treatment works the same for every person, early intervention by your health practitioner can help address the issue of pain and discomfort as early as possible. Chiropractors can examine your daily activities and suggest movements and lifestyle changes especially at work and at home that can eventually reduce the pain and improve functionality of the joint. Any pain felt around the pelvic area should be reported immediately to your health practitioner not only to lower the pain but also to avoid any long-term discomfort and pain.